A Simple Guide to Relevance for the Oilers' Next GM - The Point Data-driven hockey storytelling that gets right to the point. 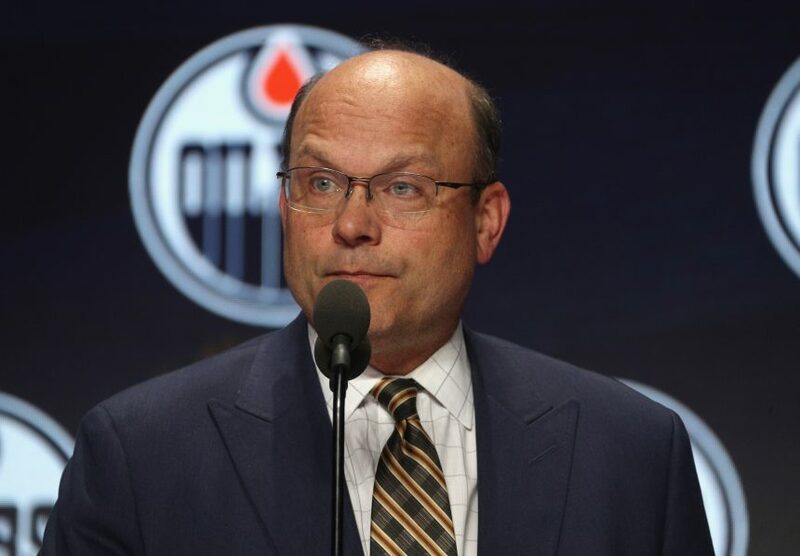 The Edmonton Oilers have finally decided to fire GM Peter Chiarelli, giving Oilers fans what they’ve been clamouring for over the last few weeks (read: years). His tenure as GM has been marked by questionable deals, both trades and contracts, and a failure to surround the All-Universe talent of Connor McDavid with quality depth. Despite having arguably the best hockey player in the world today and being right up against the salary cap, the Oilers are in danger of missing the playoffs for the third time in McDavid’s 4-year tenure. Oddly enough, Chiarelli was still able to sign Mikko Koskinen to a three-year, $13.5m contract a mere 30 hours before being fired. The contract, which includes a 15-team no-trade list, just adds one more hard-to-trade deal to Edmonton’s books, as I pointed out at the time of the signing. He hasn’t fared much better in trades. Everyone knows about the Hall-Larsson swap, or the Eberle-to-Strome-to-Spooner fiasco, or the glaring overpayment for Griffin Reinhart. But that’s all in the past. Hindsight may be 20/20, but time machines don’t exist yet, so what’s done is done. The next Oilers GM will have a lot on his plate, but can’t fall victim to the same short-term, win-now mentality as Chiarelli. People tend to forget, but McDavid is still just 22 years old. Long-term, sustained success should be more important than short term gains. Yes, there is always the risk McDavid grows frustrated with another rebuild/retool/whatever you want to call it, but is there really a choice? It’s pretty clear this team isn’t going to make it. Now, this is the first thing any new GM will have to do, obviously. Anyone who watched the Oilers this season can identify the team’s top weakness, a complete lack of support for their two superstars. 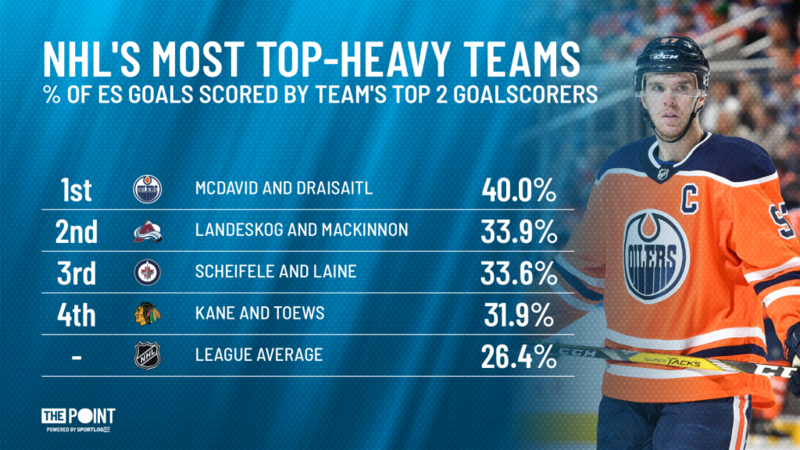 In fact, no other duo in the NHL has to do as much heavy lifting as McDavid and Draisaitl. It’s not even close. The Oilers almost double the league’s average of goals from their top two scorers, which is way ahead of any other team. That’s a massive concern. People often point to Draisaitl being unable to drive his own line, but the issue might just be that there isn’t a 2nd line to drive. If he isn’t playing with McDavid, he’s paired with 3rd-line wingers at best. Draisaitl is good, but he’s no miracle worker. Ryan Nugent-Hopkins helps, but he’s the only quality support piece this roster has. Who’s their best player after that? Alex Chiasson, who has 17 goals on a ridiculous 27% shooting? Milan Lucic and Zack Kassian, who are next on the leaderboard with five goals each? NHL legend Jeremy Roenick recently went on a rant about the team and, boy, did he have some harsh words for them. This doesn’t have to be a full-scale rebuild. The core is in place, but Edmonton needs a clear vision of how they want to build around said core. This is more of a retool. One of the problems brought by Chiarelli is the additions he made did not align with the team’s timeline, or the league’s direction to be honest. Instead of looking for young, cost-controlled talent to complement the team’s core of players 25 and younger, Chiarelli looked to add instant help in the form of free agents already in (or past) their primes. That’s how he ended up spending big on Lucic or Sekera. Going forward, the team should still be looking to add talent, but instead of targeting older players, they should look for other players in their early twenties who could be able to skate with McDavid for the next five to ten years. Ideally, they would shift their focus to skill and speed instead of size. Size still matters, but when you have the fastest skater in the world, you can’t put a big, lumbering player like Lucic on his wing and expect him to keep up and produce. That’s not on Lucic, that’s on the GM who failed to recognize the awkward fit, and on the coach who put him in a position where it will be hard for him to succeed. The fact Chiarelli was fired before trading Jesse Puljujarvi or this year’s first-round pick might be a blessing in disguise. The Oilers’ prospect pool is already pretty thin, and thinning it further for an outside shot at the playoffs would have crippled the team even further. They do have some solid prospects like Puljujarvi, Evan Bouchard, Kailer Yamamoto, Caleb Jones and whoever they draft this season, but they need more. It goes without saying none of them should be moved. As for their current NHL roster, McDavid is obviously untouchable, Draisaitl should be too unless they receive the proverbial “offer they can’t refuse”. Defensemen Oscar Klefbom and Darnell Nurse are still young and on very team-friendly deals. Ryan Nugent-Hopkins and Adam Larsson are solid pieces that should be kept unless another team is willing to overpay. Outside of those, anyone should be on the chopping block. They shouldn’t hesitate to move any veteran outside of those six players. Now, I’m not saying they should accept a conditional 7th for Cam Talbot or anything drastic like that. Obviously, they need to shop for a fair offer. But the new GM needs to invest in a good mobile plan because he should be calling every other NHL franchise to gauge interest in his players. Alex Chiasson is having a great scoring year, maybe a team is willing to give up some draft capital to bolster their bottom six for a playoff push. Maybe a team in desperate need of a right-handed defenseman (looking at you, Toronto) is willing to acquire Alex Petrovic. Regardless of how, the Oilers can’t afford to be buyers or bystanders at the deadline. It’s a tough task, but their next GM has about a month before the trade deadline to add upside to an organization that needs it badly, be it prospects, draft picks, or roster players that are entering their prime soon rather than being at the tail end of it. This is probably the hardest task the new GM will have to face. Milan Lucic is virtually untradeable unless they’re willing to give up an asset or take on equally bad money back. The contracts of Spooner, Russell, Manning, Koskinen, and Sekera aren’t necessarily crippling, but none of them are great values, so teams will be reluctant to give up assets. Still, all you need is one team to be interested. Even if they don’t bring a ton in return, the cap relief it would provide will be an asset on its own, especially since Edmonton is already strapped pretty close to the cap. Fixing the Oilers is easier said than done, but whoever takes over as GM will be hard pressed to fare worse than Chiarelli. As long as he doesn’t fall into the same short-term traps as his predecessor, there will at least be light at the end of the tunnel.